It seems The Rock can smell what Aquaman is cooking, and he likes it, he likes it very much. So much so, in fact, he wants Jason Momoa to join the Fast & Furious franchise. Dwayne ‘The Rock’ Johnson is currently promoting his Fast & Furious spinoff Hobbs & Shaw, which also stars Jason Statham and Roman Reigns. However, it turns out Reigns’ role – of Luke Hobbs’ brother – almost went to Khal Drogo himself, Jason Momoa. Me and Momoa tried hard to get him in this movie to play my brother. But his schedule was too packed. Next Hobbs movie for sure. And who wouldn’t want to see these two man mountains fighting side by side as brothers. They wouldn’t even have to fight necessarily, just a film of them chilling and hanging out together would probably go down a storm too. Like the Fast & Furious franchise, which is now nearing double digits for number of films, judging by The Rock’s comments Hobbs & Shaw could be going that way too. 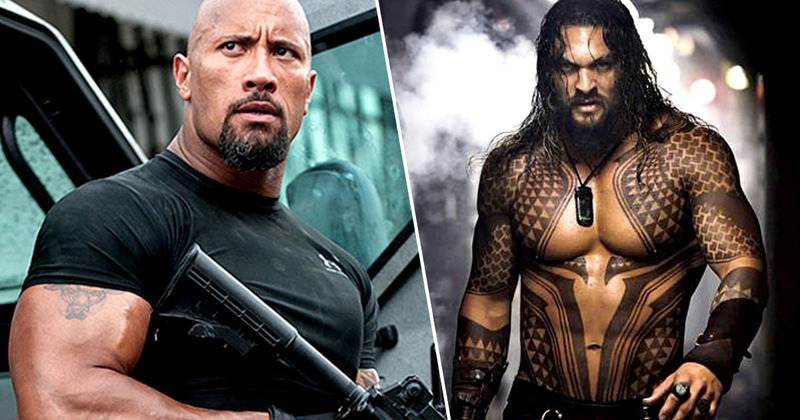 It wouldn’t be surprising for Momoa to join the cast, though, as Aquaman director James Wan was also responsible for turning Furious 7 into the $1.5 billion blockbuster it was. In the meantime, The Rock seems pretty happy with his co-star Roman Reigns taking the wheel in Hobbs & Shaw. Good times droppin’ sweat and spillin’ blood with my family, @RomanReigns who’ll be playing my brother in our FAST & FURIOUS UNIVERSE. I’m very proud of his focus, effort and authentic performance in our movie for his very first time on film. I’m also very grateful to spend this quality time with my cousin here in the islands as he takes life one day at a time to recover from leukaemia. His perseverance and humility battling this challenge has inspired our entire family as well as millions around the world in our beloved @WWE Universe. Can’t wait to see the ‘Big Dog’ return back to the ring – his positive and focused mindset to return is straight up next level. Til’ then, this sacred Samoan ground you stand on is nourished with our ancestors blood. Today, we nourish it with yours. Fast & Furious Presents: Hobbs & Shaw is being directed by David Leitch, of Deadpool 2, with a cast list straight out of an action film dream team, including Idris Elba, Jason Statham and Vanessa Kirby. It has also been reported that Hobbs & Shaw will pay tribute to Fast & Furious‘ roots, as the film will feature another custom cars shop. It might not be Pimp My Ride, but it’ll do for now. Hobbs & Shaw hits cinemas on August 2.